For the first time, the UK packaging industry will see the country’s only curved corrugated solution being automatically erected and filled at the PPMA Show. Leading independent corrugated producer, Cepac, has teamed up with packaging machinery producer, Adpak, to showcase the automated application of Arcwise, the UK’s first curved corrugated solution. The new capability will be unveiled at the PPMA Show 2018, which takes place at the NEC Arena in Birmingham on 25th –27th September. 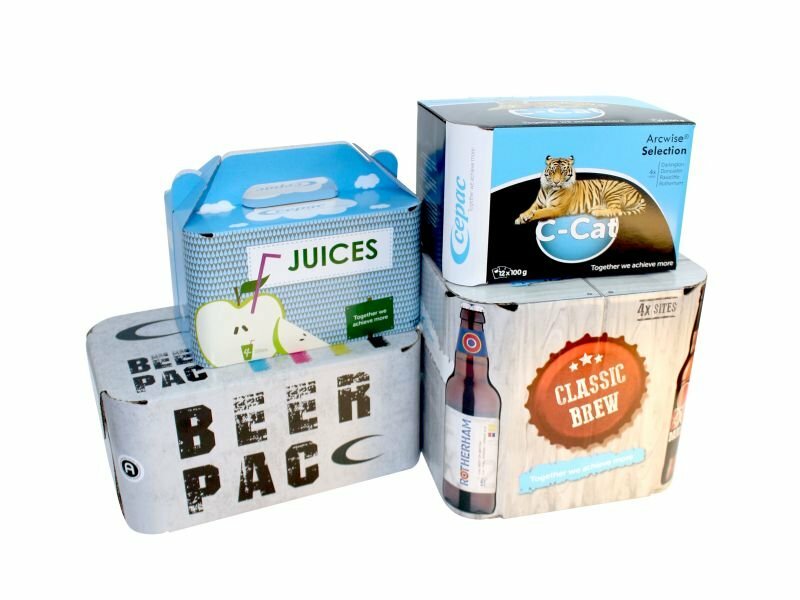 Arcwise helps customers revolutionise their corrugated packaging needs, offering unique design and innovation possibilities across a wide range of applications. Produced by Cepac, Arcwise technology allows corrugated board to form new shapes, utilising a radius, offering endless possibilities to extend the graphical layout seamlessly across multiple panels and designs. In addition to allowing new design possibilities for packaging, Arcwise also offers greater pack strength and resistance, thanks to its unique curved form. Adpak, in combination with the GPI group, has developed machinery which auto-erects and fills Arcwise boxes. This new innovation enables the highly effective production of Arcwise packs for retail-ready, consumer and transport packaging uses. Founded in 1988, Adpak is the UK’s number one supplier of packaging systems, shrink wrapping machinery and films to a range of industries. It is an expert in identifying the correct ‘off the shelf’ product for a customer, as well as innovating and adapting a machine to perform a specific and unusual purpose. Adpak customers range from small start-up businesses up to multinationals and household names – but all Adpak customers receive the same friendly, intelligent and responsive service.